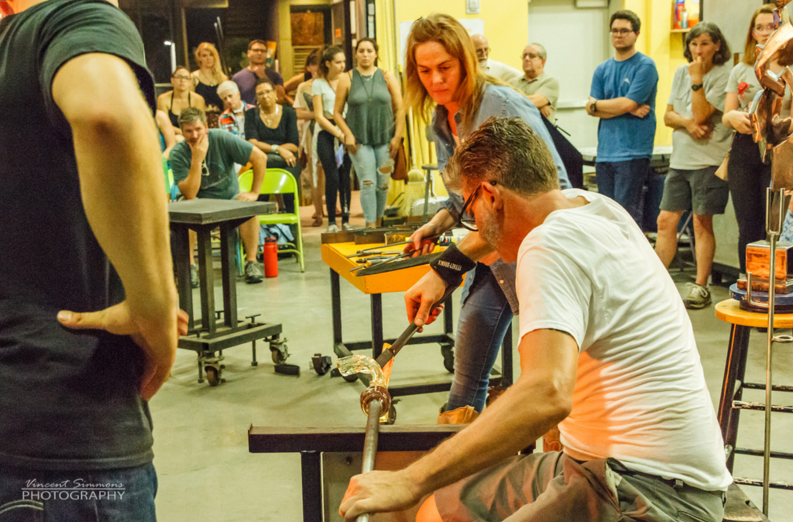 Mark is currently an MFA candidate in the glass sculpture program at Tulane University. For seven years prior to that, he taught hot glass and ceramics at YAYA. Mark earned his BA in sculpture at the University of New Orleans while working as a teaching artist and glass department manager at YAYA. Prior to that he served as Adjunct Professor at Dillard University in New Orleans and as Associate Professor at the Toyama City Institute of Glass Art in Toyama, Japan. 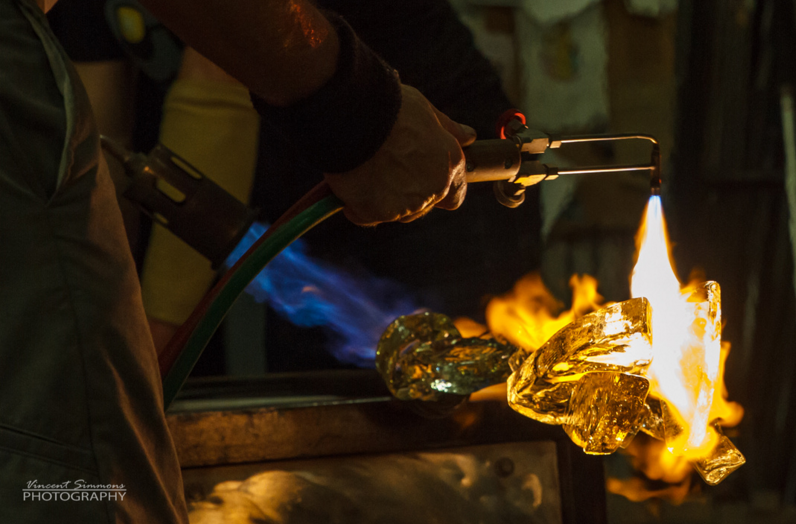 He has worked as a production glass blower at many prestigious studios including the Chihuly Boathouse in Seattle and Vella Vetro in New Orleans. Early in his career, he spent nine summers at Pilchuck Glass School where he participated as student, teaching assistant and staff member. Mark feels fortunate to have chosen a career in glass because it has offered many opportunities to work with and form friendships with the special people within its community. His current body of work is driven by an investigation of his relationship with the natural world. Stay tuned for more info, or sign up to get our newsletter!